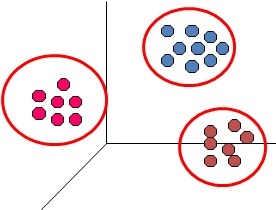 Cluster Analysis is a technique of Unsupervised Learning in which objects (observations) similar to each other but distinct from other are marked in a group or Cluster. Cluster analysis is also called classification analysis. Cluster Analysis can be done by two methods : 1. Hierarchical Clustering and K-Means Clustering. In this part we are covering SAS hands on session of second type of Cluster Analysis : K-Means Clustering.